Being unable to start your car just because of a dead battery is very frustrating. If you have somehow drained the battery a simple jump start may be enough to sort everything out, but if the battery has come to its life’s end a car battery replacement service is called for. In Richmond California, there is no one who can provide you with such a service better than Cars Towing. Cars towing possesses the three traits you want to find in who you call in to provide you with a car battery replacement in California and Texas. We are BBB accredited, highly reliable and virtually unbeatably efficient. All this means that when you call on us to rush over and replace your car’s battery you know we will arrive fast to any destination within our coverage area, and then get the job done quickly and in the most professional manner. Topping all this off is the strict honest billing policy we abide by ensuring the rates we offer are not only fair but also highly competitive. We know that a car’s battery can cease to function unexpectedly at any time, day or night, leaving the vehicle immobilized. 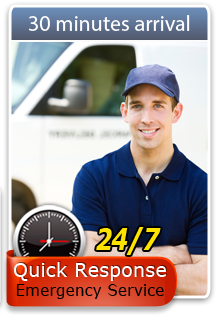 Since we have charged ourselves with providing a comprehensive solution to all towing and roadside assistance needs we operate 24/7, nonstop, all year round. With us, you do not need to worry if we are available, give us a call anytime and one of our service vans will be sent over immediately. You also not need to concern yourself if we can provide a battery replacement service a vehicle such as yours, we service absolutely all types of vehicles, of any make or model, trucks and motorcycles included. Car battery replacement in California and Texas is just one in an extensive range of towing and roadside assistance services we provide. Among these services are all types of towing, whether local or long distance, light, medium or heavy duty, flatbed or dolly etc. We also provide any and all types of roadside assistance services such as jump starts, flat tire changes, on/off road recovery, gas filling etc. All Cars Towing techs are highly skilled, service-oriented, professionals who will be happy to assist you and get you back on track sooner than you could hope for if your car’s battery has died out.